I hope you are enjoying your long Labor Day weekend! I'm taking a break from relaxing to plan some great things for the upcoming week. In math, we will use our knowledge of greatest common factor to help us better understand the distributive property. Check out this video from www.khanacademy.org for a little introduction to the process. You will have some homework and classwork to complete this week, but (since it is a short week) you will not have a quiz on distributive property. 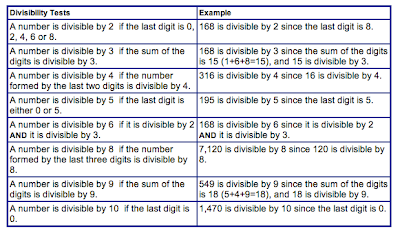 Prime factorization is very helpful when performing the distributive property. In science, we will be focusing on the rock cycle over the next two weeks. Here are your vocabulary words you will need to know for a quiz on Friday. After an introductory lesson, I will give you a choice sheet to help guide your research about rocks. Your choice sheet takes the form of a menu where you must choose one appetizer, entree, and desert to complete. Remember, the whole goal of these choices are to learn as much as you can about the rock cycle, so please always do your best on the assignments you choose. The three assignments are due Friday, September 13th. In addition to your choice sheet work being due, you will also have a test on the rock cycle Friday, September 13. To help you prepare for the test, here is a copy of the visuals I will share during my lesson. I know this is a lot of information to keep in mind for the upcoming week. That is why it is so important that you are keeping up with writing your assignments and homework on your workplan daily. Remember that I also keep a classroom calendar to help you keep up to date on what's happening. Click on the "Class Calendar" button at the top of this page to see it. The default display for the calendar is an agenda list, but you can also view a more traditional month and week format by clicking the buttons at the top of the calendar. I know many of you enjoyed having the chance to "dress down" last Friday. This Friday, you will have another chance to be out of uniform! The first Friday of each month will be a dress down day for $1. This month, all of the money collected will be donated to the Ellis Solar Club. Finally, I have been asked to report for Chatham County Jury Duty this week. Because of this, I may be absent a few days from school. I am expecting gracious and courteous behavior with the substitute teacher. Remember your procedures and help your classmates remember them as well. I will keep you posted the best I can about my jury duty schedule. UPDATE: I will not be at school Tuesday. I will let you know my schedule for the rest of the week as soon as I find out what it is. 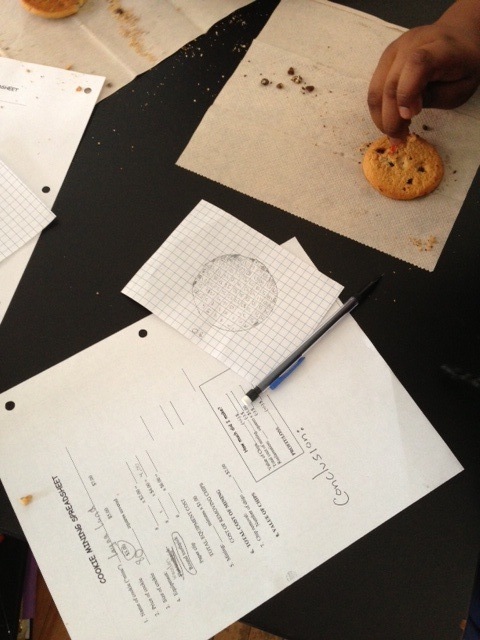 In lab this week, students used a chocolate chip cookie to simulate a surface mining site. Using special tools (a wooden toothpick, a plastic toothpick, and a paperclip) to "mine" the chocolate chips from the cookie, we could quickly see the destruction caused by the extraction. We then used a series of simple math equations to see if we made a profit or had a loss. Using a chocolate chip cookie to simulate surface mining. A factor tree shows the prime factorization of a number. Progress reports have been sent home today. Please review them as a family, sign, and return them to your child's homeroom teacher tomorrow (Wed. August 28). In addition, if there is a "Student Verification form" attached to your progress report, please review the information on it for accuracy, sign, and return it along with the progress report. If you have any questions, please note them on the coversheet and we will respond to you as soon as possible. You can also email us at trent.kissinger@sccpss.com or carol.nathan@sccpss.com. Welcome to the last week of August! There are a number of items planned as we finish up this first month of school. 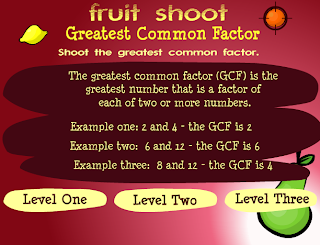 This week in math we will be focusing on finding the greatest common factor (GCF) of two numbers. It is really important that you are not getting it mixed up with LCM that we studied last week. I want you to really focus on using the two interchangeably without getting confused. Get ready for some classwork and homework that will prepare you for a quiz on GCF and LCM this Thursday. If you feel you need additional lessons on either, please don't hesitate to ask one of your classmates or me for a review. 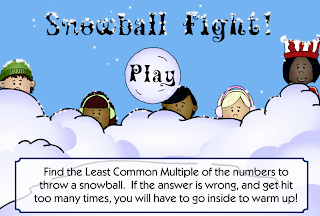 Click below for a great game to help you practice finding the GCF of a set of numbers. We will also start taking the MAP test this week. This test will test your math skills and give me a good indication of your strengths and needs. I will use this information to plan my upcoming lessons. This is the first of three times you will take this assessment. Please take your time and try your best. If you have any questions about testing, please refer to this guide. When consulting the guide, please keep in mind that we will only compete the mathematics portion of the test. For science, i'll talk to you briefly about how minerals are mined. This week, please use your worktime to learn as much as you can about the topics we've covered concerning minerals. Your "Minerals Tic Tac Toe" choice sheet is due Friday. You will have a test on Minerals this Friday, too. To help you prepare for the test, please refer to this study guide. You will receive your first progress report of the year this Tuesday. Please take it home, sign it, and return it to school Wednesday. There will be a coversheet on the report telling you a bit more information about our grading procedures for 6th grade. If you have any other questions, please note them on the coversheet and I will respond ASAP. You can also contact me a trent.kissinger@sccpss.com. Friday will be a "dress down" day for students since it is the last Friday of the month. Please refer to pg. 36 of the Student Handbook for Success for a list of appropriate clothing for the day. I'll end my post with some pictures from our mentoring time with Ms. Kirsten's class last Friday afternoon. Keep up the good work! As part of our studies concerning minerals, students are doing a mineral identification lab. In this lab, students must use the properties of minerals to see if they can discover the identity of four mystery samples. Can you name the five tests we conducted to gather data? The first person from each homeroom to reply with the correct answer (in the comments section below) will receive a prize! Using the properties of minerals, students identified four mystery samples. Using the scientific method, careful observations, and organized data collection we were able to successfully identify each of the minerals! Don't forget about the virtual mineral identification lab I mentioned in a previous post. It's a great way to get even more practice with the properties of minerals...and it can be done anywhere you have access to the internet! 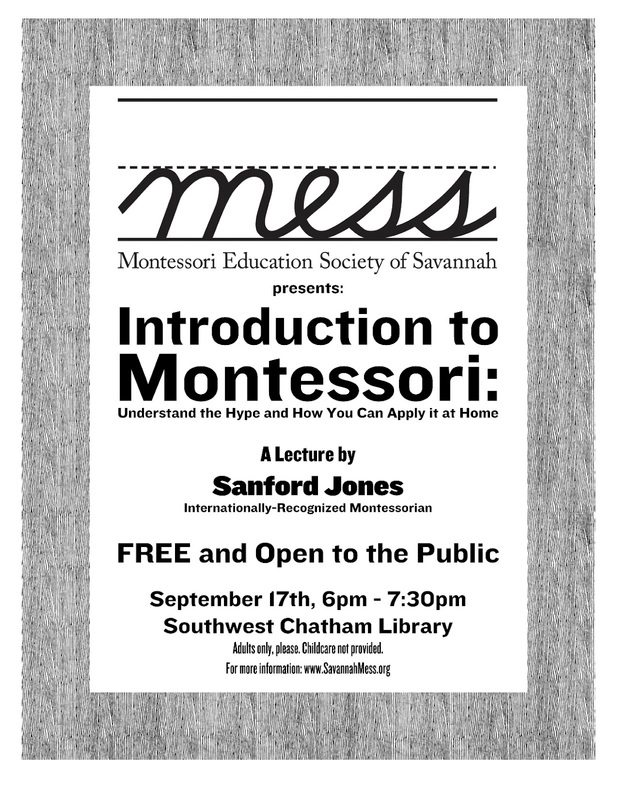 Please check out the following press release from the Montessori Education Society of Savannah concerning a wonderful opportunity to learn the basics of the Montessori philosophy from a world-renowned Montessorian. 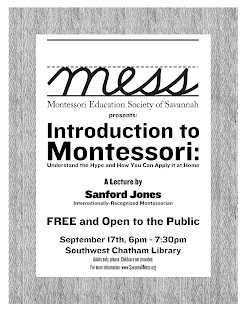 We are pleased to announce that we are sponsoring a lecture by internationally-known Montessorian Sanford Jones on Tuesday, September 17th. The lecture will be 6:00pm – 7:30pm at the Southwest Chatham Library, by the Savannah Mall. The topic of the lecture is: “Introduction to Montessori: Understand the Hype and How You Can Apply it at Home.” We invite all interested parties to join us, especially parents, educators, and education students. The lecture is free and open to the public. Adults only please though -childcare will not be provided. Sanford Jones is known internationally as a Montessori educator, lecturer, and composer. He has made significant contributions to the Montessori movement, including the founding and directing of four schools on the East Coast. He was the founding president of the North American Montessori Teachers Internationale-USA. He currently runs Youth Opera International. The peg board is a Montessori material that can be used to explore least common multiples. Student use a series of different colored pegs to represent groups of numbers (separated by a divider). Students continue grouping until they discover a common multiple. The peg board is available for students to use at any time during our work period. Each Friday from 1:40-2:10, we will visit Ms. Kirsten's kindergarten & first grade classroom. During our visits, we will enjoy reading time and have opportunities to mentor the younger students on grace and courtesy skills. Today, we met our young buddies and had a great time getting to know them. I'm so proud of the 6th graders for being such good role models! 6th graders read to their younger buddies. We will join Ms. Kirsten's class each Friday for mentor time. Feel free to bring in your iPads, Nooks, Kindles and other tablet computers and devices because we are a mobile learning certified classroom! With teacher permission, students are free to use such devices for research purposes. Mobile devices are only allowed to be used in the classroom under direct teacher supervision (They are not permitted anywhere else in the building or on the playground). Mr. Trent can provide a wifi password for you to use. If students are not using the technology appropriately, they will no longer be allowed to enjoy this privilege. Students are required to keep tabs on their devices and we are not responsible for lost, stolen, or broken equipment. More information about the SCCPSS technology policies can be found HERE. 1. Personal technology can only be used in room 18. It is not permitted in the hallway, restrooms, or on the playground. 2. You must get permission to use your device from Mr. Trent before you use it. 5. YOU are responsible for your property. 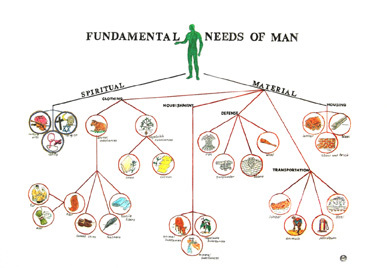 As an introduction to our science curriculum, we talked of the Fundamental Needs of Humans. This lesson included a spirited discussion concerning what all humans require to lead happy, healthy, and fulfilling lives. The students planned an extended trip to a deserted island with only limited room for supplies. Students brainstorm items they believe would be valuable during an extended stay on a deserted island. We quickly discovered the differences between a necessity and a luxury! At the end of the activity, we agreed that humans need the same items found on the Fundamental Needs of Humans chart that is found on our Montessori science shelf. With this in mind, we will discover in our Earth Science studies this year how both living and nonliving things here on Earth enable us to meet these needs in part through the "Unconscious Exchange of Services". 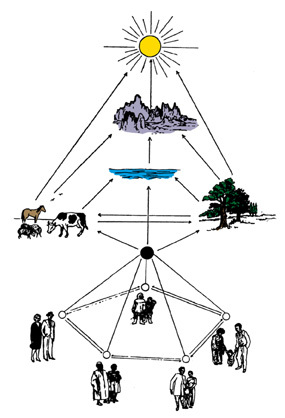 "The Unconscious Exchange of Services" Chart shows the interactions (positive, negative, and mutually beneficial) between living and nonliving things on Earth. Welcome to the first week of school! I hope you had a wonderful summer and are ready for another great year at Charles Ellis. I will update this blog each weekend with the lesson plans for the upcoming week. This is a great place to start if you have any questions about upcoming due dates or assignments. There is also a "classroom calendar" tab above that shows important dates to keep in mind for the near future. Finally, I will also update the blog daily with pictures from the classroom, supplemental resources based on our lessons, and other fun items of interest. This first week of school, we will start by going over our classroom procedures. I'm sure you have a lot of questions about how a 6th grade classroom works, and I am going to work hard to make sure all of your questions are answered. We will also be organizing your personal folders and cubby to make sure you are set up for success. In addition, I'll allow you plenty of time to get to know your new classmates. This year in room 18, we will focus on both science and math. Science work this week will include a key Montessori lesson: The Unconscious Exchange of Services (UES). The UES will help us begin to understand the amazing connections of living and nonliving things found in our universe. We will use this lesson to motivate us in our studies of Earth Science this year. By starting the year with these two key lessons, I wish to both set the tone of our Montessori classroom and inspire you to wonder about the amazing world of science and math and your place within it. The only homework you will have this week is to review your classroom procedures nightly, become familiar with the student handbook, and sign/return the forms I send home Monday. Each of these forms is due by Friday, August 16. Are you planning on taking the bus to school? See below for the latest route information for Ellis. Don't forget about Open House this Thursday from 3:00-5:30 pm. I'm looking forward to welcoming you and your family to our classroom.